Our Multiple Cat Clumping Formula is now available in Target stores! 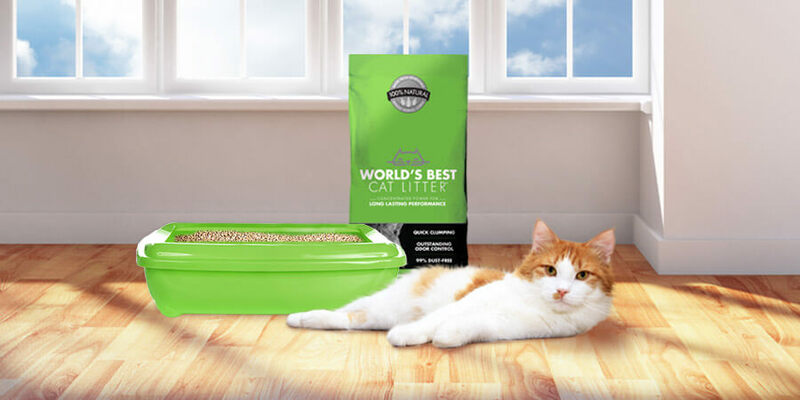 “Hit the Spot” closest to you for your chance to WIN free litter! Bulls-eye! World’s Best Cat Litter™ Multiple Cat Clumping Formula is hitting the shelves at Target and we’re aiming to please with a “Hit the Spot” contest that will provide the purrrr-fect summertime boost for two lucky feline owners! Entering is so easy you’ll want to pounce on this opportunity! Check out our Store Locator and head to your closest participating Target store. Look for our black and red Multiple Cat Clumping Formula bags with the $1 instant coupons! Snap a picture of your experience buying Multiple Cat Clumping Formula at Target whether it’s at the store, in the parking lot or in the comfort of your home. Just send us something that shows you bought your Multiple Cat Clumping Formula at Target and you will qualify! Submit your photo HERE, or follow us on Twitter and share your picture by including @bestcatlitter in your tweet. Be creative and show us how World’s Best Cat Litter™ hits the spot for your household! Deadline to submit your picture is July 10, 2011. We will pick two winners, so have fun with this! *Twelve coupon vouchers, each for one 7lb. bag of either the Clumping Formula or Multiple Cat Clumping Formula. We will randomly select two winners from all the entries submitted.